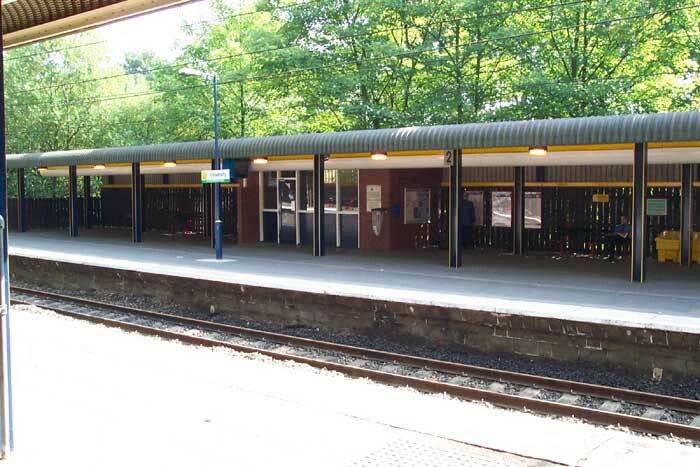 University station, as with Longbridge some five stations south, is the result of the regeneration of what was the Midland Railway's Birmingham and West Suburban Branch. 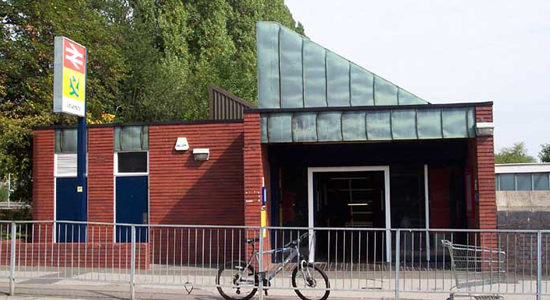 Opened in 1978, the station site had never previously housed a station but a demand was identified due to the close-proximity of Birmingham University and the Queen Elizabeth Hospital sites for a rapid link to the City Centre. Ironically, a few hundred yards up the line is the site of the long-gone Somerset Road station closed in 1930 deemed superfluous to requirements - hindsight's a wonderful thing! 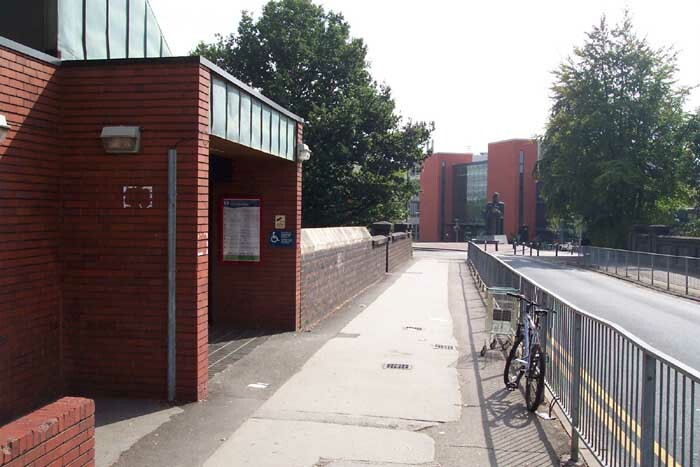 University Station entrance on University Road West can be seen above in September 2003. Above-left we are on the Birmingham platform looking towards New Street - the site of Somerset Road station is just around the bend ahead. Above-right we are in the same spot but this time looking back towards Selly Oak through the University Road West overbridge. The station's patronage is heavily dependant on the University's terms - when I visited it was during the summer holidays and it was practically deserted. There is a shop on the platform and this was closed, presumably to reopen during term-time. 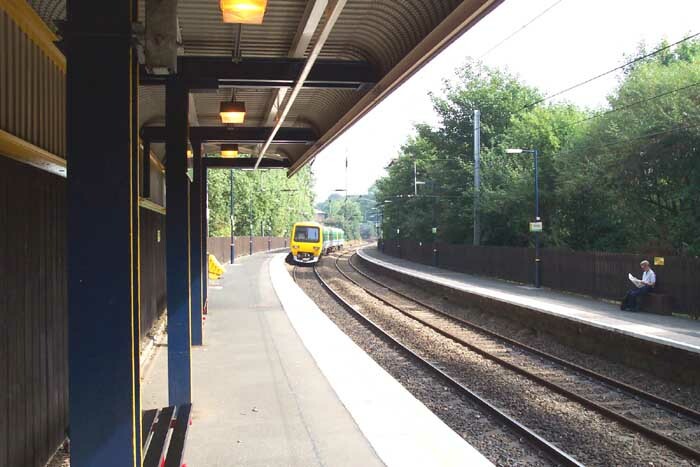 The fluctuations in passenger numbers are further compounded by the fact that there are no residential areas nearby as the University and hospital complexes take up a great area of the surrounding land - there is no car park here either. Above-left we are on University Road West's overbridge with the entrance to the station to our left - this view shows the close proximity of the main campus ahead. 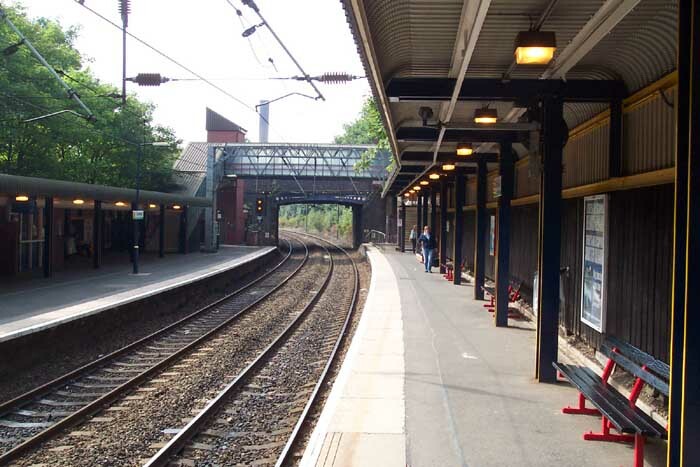 Above-right we are on the Birmingham platform looking across to the soutbound platform.